If you do even a bit of writing, chances are, you have heard of Grammarly. For those who don’t know, Grammarly is an online grammar checking tool which checks your writing for common grammatical mistakes and suggests improvements. Previously, you could either use its web or desktop apps or use its browser plugin to do that. Users especially love Grammarly’s browser plugin as it allowed them to check grammar on a real-time basis inside their emails, messages, and more. 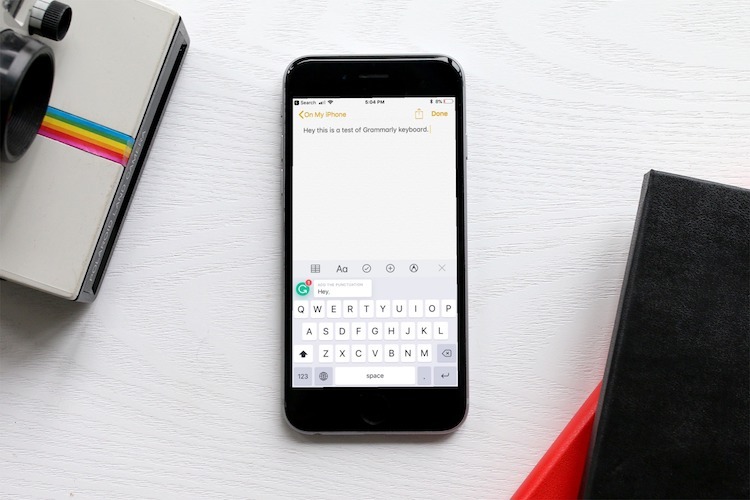 Now, Grammarly is bringing that same feature to mobile devices by introducing an iOS keyboard app. 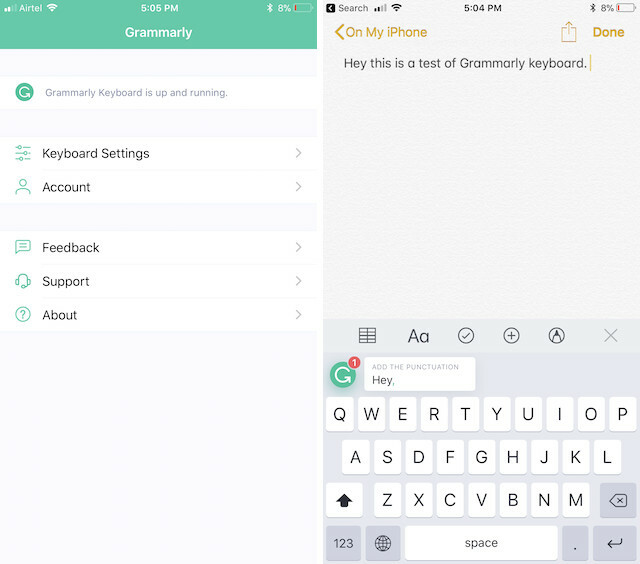 Grammarly keyboard for iOS is just like any other third-party keyboard app, but with one trick up its sleeve. 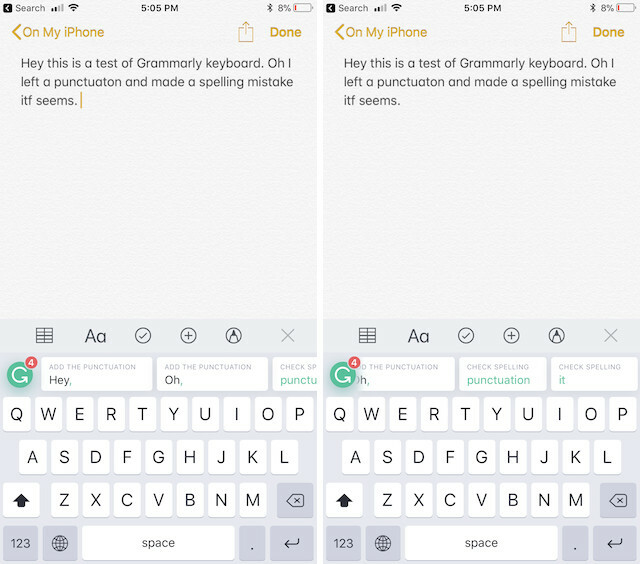 When you are using Grammarly keyboard on your device, instead of showing you the quick-type suggestions (which other keyboard apps show), Grammarly keyboard shows you the mistakes that you are making. I have used Grammarly in the past on desktop inside Chrome and Safari, and I can tell you that it is quite good at catching your grammatical errors. Since, now most of the communications happen over mobile phones rather than on desktops, it’s good to see Grammarly bringing its features to mobile devices. So, whether you are writing emails, responding to messages, or tweeting something in the middle of the night on your smartphone, you can be sure that you are not making blunders in your writing. Although the free version only detects common mistakes, it’s the common mistakes which really gives the worst impression. Getting the same real-time grammatical error detection on your smartphone is potentially going to save you from so many embarrassing situations. Using this app will surely save you from your own “Covefe” moment. That being said, currently it is only available for iOS devices, but the developers have promised an Android app very soon. If you are concerned about your writing, you should surely give this app a try.